This is our order page, which will enable you to easily order Candida Yeast Support through our secure server… Or you can order using our toll free order line at 1-855-287-1800. If you have questions just click here to email us. As a side note all information given us will remain private. Under no circumstances will we rent or share this information with anyone. We respect your privacy! To get your own bottle of Candida Yeast Support simply add it to your shopping cart below… Each bottle contains 60 capsules. The cost per bottle is $39.95 and the shipping is only $3.85 to anyone anywhere in the world! 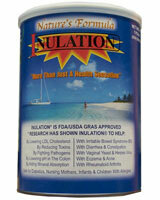 Inulation- A powerful ally in your fight against yeast! Our customers can't recommend it enough. Inulin is a natural, Kosher, functional food ingredient extracted from the root of a common vegetable, the chicory plant, Cichorium intybus L. Inulin, is a natural fructooligosaccharide. In simple terms, it may feed good bacteria helping them expand and help crowd out the bad bacteria. Combined with Candida Yeast Support it can deliver a powerful "One-Two" punch! $31.95 for a 1-3 month supply. 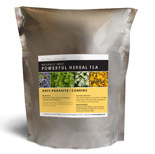 Anti-Candida & Parasite Tea... An easy way to help cleanse your body of unwanted candida and parasites. Many people have been asking about ways to help cleanse themselves of parasites-- including candida. After much research and study, we've found this product to not just be very affordable, but very effective also-- plus you want to know the best part? It doesn't taste bad either! I have at least a couple cups week! Each bag will supply 20-30 servings. At only $16.99, it's a real bargain. INGREDIENTS: Peppermint, Black Walnut Leaves, Artemesia Annua, Bladderwrack (kelp), Pau d' Arco Bk., Stevia, and Irish Moss (kelp).